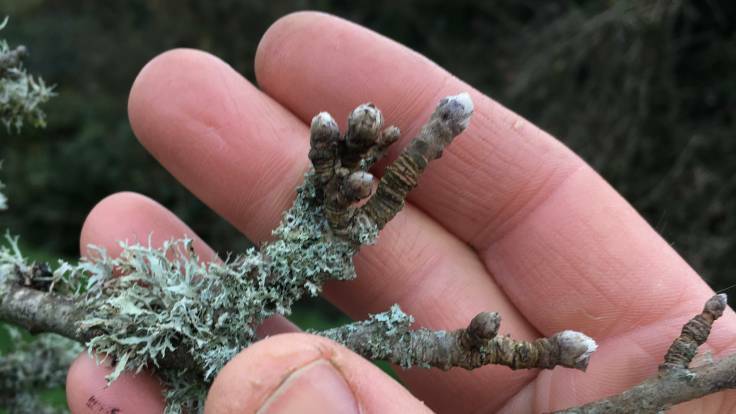 On a recent Planting & Pruning workshop held by The People’s Orchard, the orchardist Martin Hayes said a very interesting thing: don’t stake fruit trees unless they are dwarf ie if they are M26 or smaller. Apparently, this encourages far healthier and more robust root growth. I had read differently, so apart from very small trees, ours are all staked at the bottom of the trunk. This is something that strikes me about gardening in general, that there are just so many opinions, and so many of them conflicting. But I’m going with Martin’s advice, as he knows his onions.